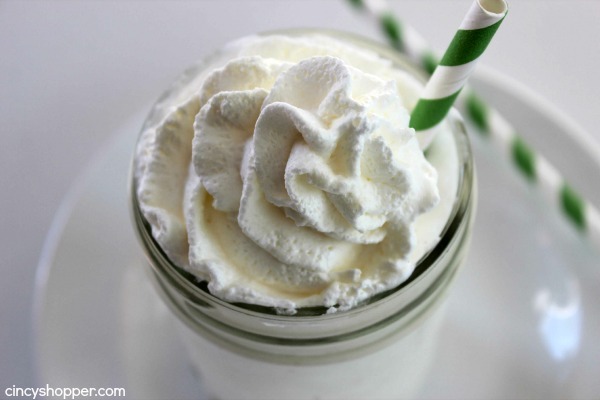 You can make this super simple CopyCat Starbucks Vanilla Bean Frappuccino right at home. 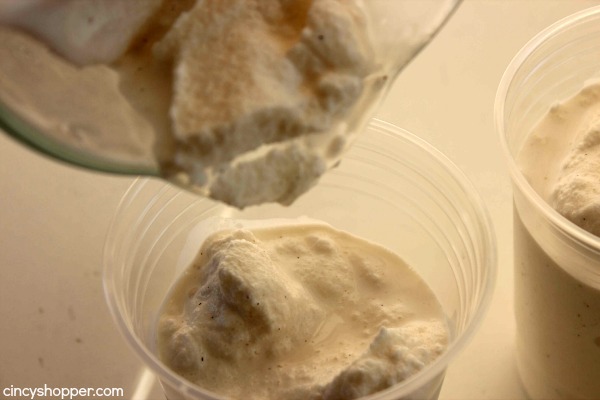 Save yourself some $$’s with this recipe that requires just a couple of ingredients. 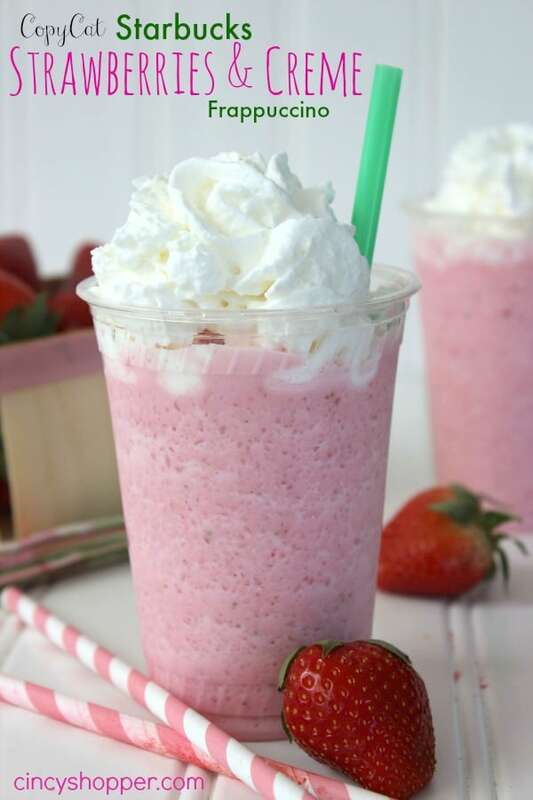 Cierra and I have been consuming quite a few CopyCat Starbucks Strawberries & Cream Frappuccinos. So many that we are completely out of strawberry syrup today, ha ha. 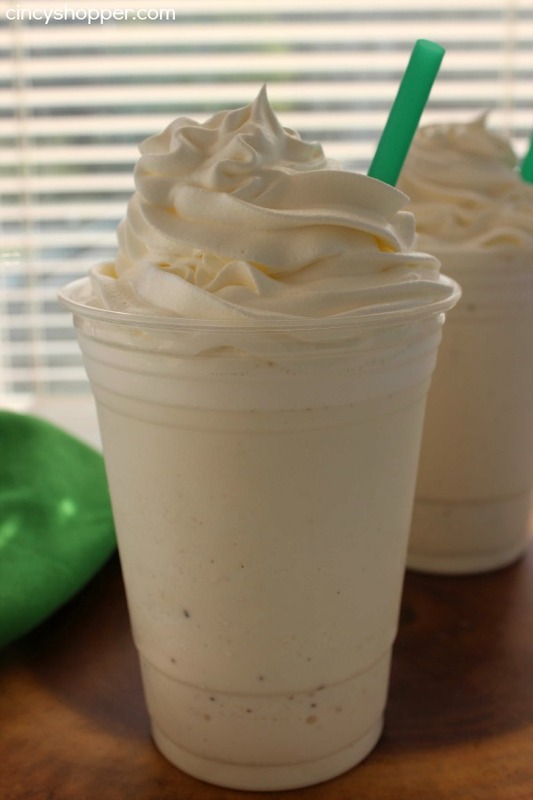 So we decided that we would make another favorite Starbucks cold drink, a CopyCat Starbucks Vanilla Bean Frappuccino. Oh my! Yum! Starbucks Vanilla Bean Cream Frappuccinos are so tasty but they do tend to cost a small fortune when you frequent Starbucks too often like we do. We will splurge about once per week when we head to Target to do shopping. We now just make our favorite Starbucks drinks at home. 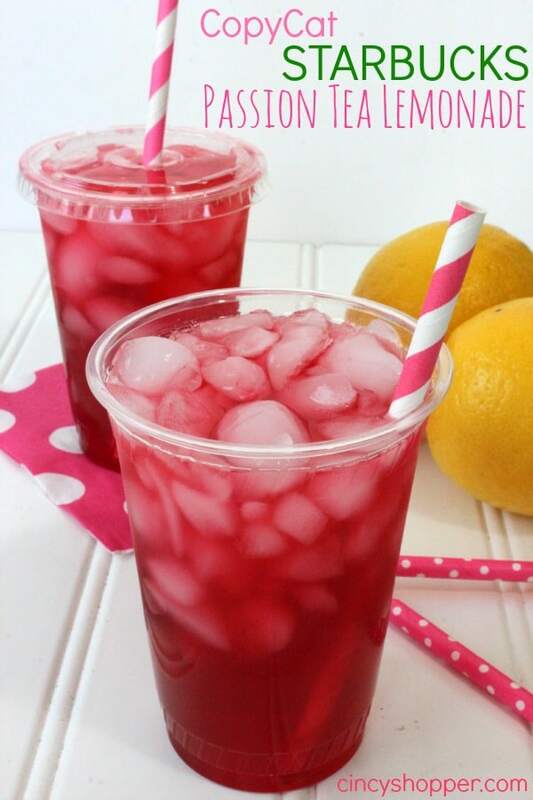 We have also made CopyCat Starbucks Passion Tea Lemonade, that stuff is so simple and refreshing. This Vanilla Bean Frap is awesome. It was perfect to enjoy with our morning work load. 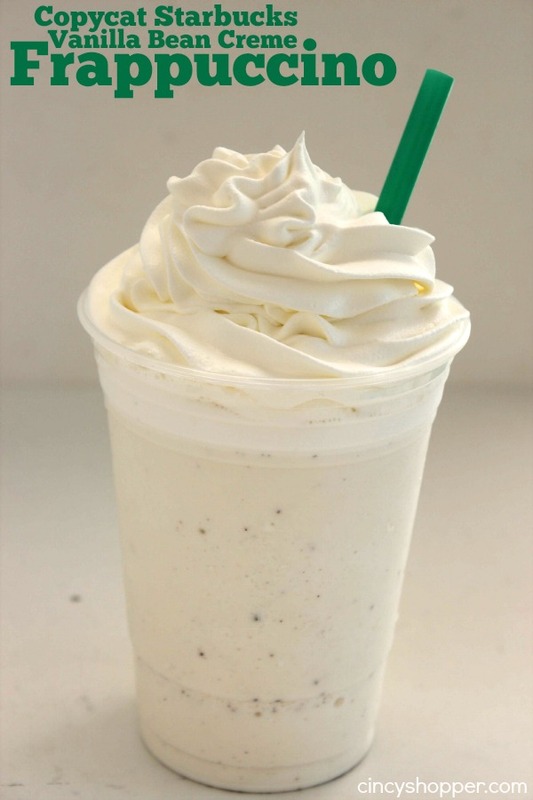 The vanilla bean is so perfect in a cold drink. Plus they are super simple to make right at home. 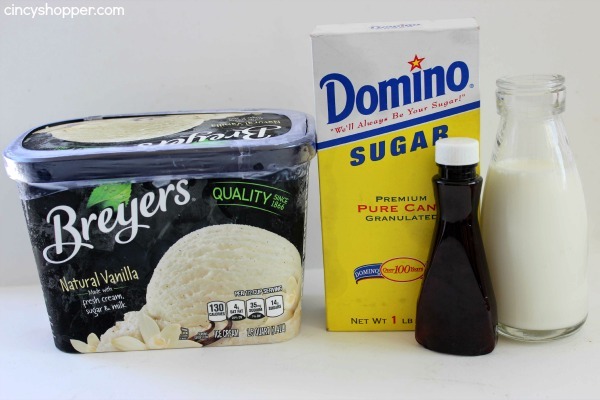 All that is needed for you to make this delish cold drink at home is vanilla ice cream, sugar, milk and vanilla. Add in some ice and you have your drink finished quicker than you could order it at Starbucks. 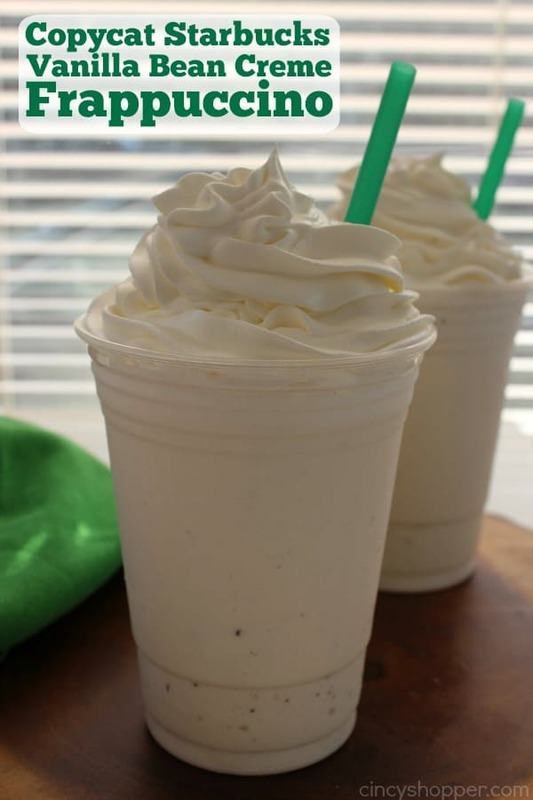 Do you have a favorite Starbucks cold drink? We have quite a few favorites, ha ha. Vanilla Bean Fraps have been a frequent request from my boys because it is their favorite Starbucks drink. Luckily their addiction does not compare to mine and Cierra’s. I plan to make them a batch for an after school treat so they will ecstatic. how much does one batch make exactly ?? Hi, how do you store your frappucino after making a batch? Thanks..
Dont you use some kind of coffee in this frap? Starbucks did away with coffee in their fraps some years ago maybe 10 years ago. 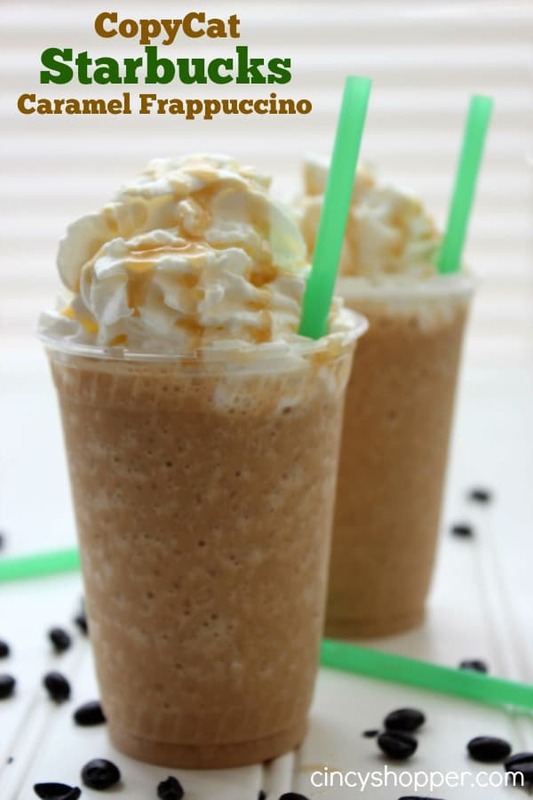 A frappe is pretty much just sugar. Made this today, it was great. I didn’t add the sugar as I am pre-diabetic. ten years ago I worked at Starbucks and the Passion Tea Lemonade (PTL) was made with Orange syrup instead of the Classic syrup. So next time you make it use 1 teaspoon of orange juice concentrate instead sugar/vanilla. It is so much better. 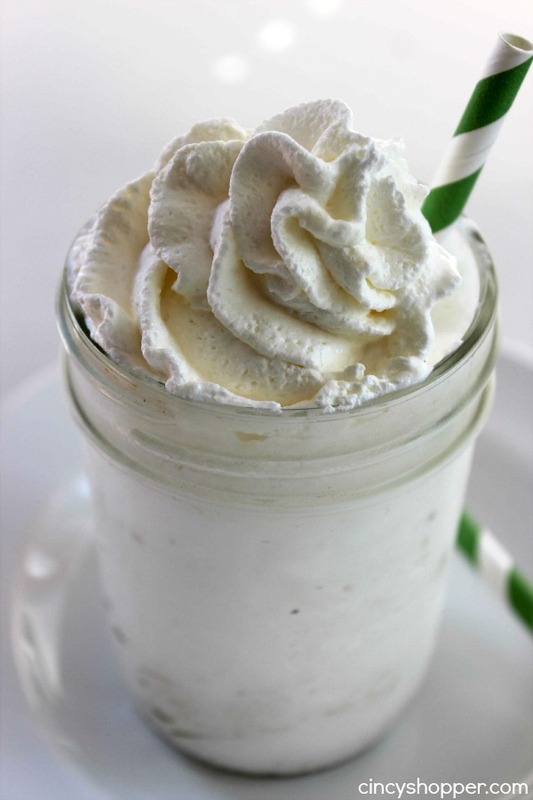 This seems more like a vanilla shake – it has a lot of ice cream in it. 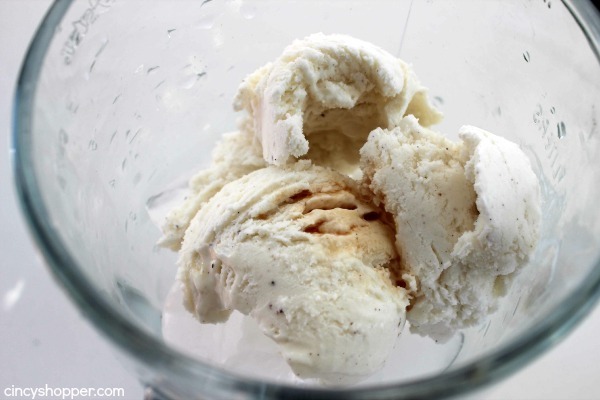 There’s no ice cream in the ingredients from the starbucks site – Ice, Milk, Crème Frappuccino Syrup, Whipped Cream , Vanilla Syrup, Vanilla Powder [Sugar, Natural And Artificial Flavour, Vanilla Bean Pieces]. 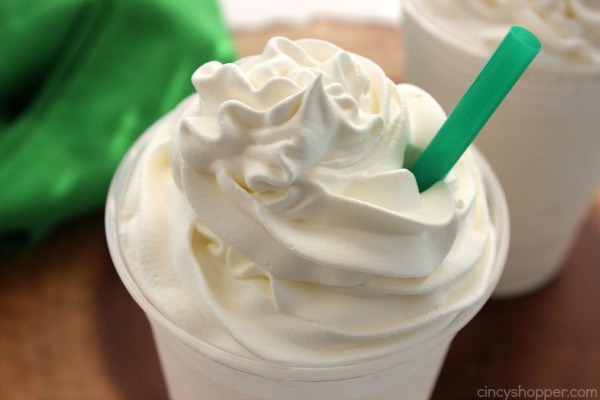 There is no ice cream in the actual Starbucks recipe. You use 3 spoon full of Starbucks vanilla bean powder, you can find it on eBay. Just milk and ice, that’s about it. This was great! Made 2 large servings or 4 small. This was awesome! I doubled the recipe and it made enough for 3. 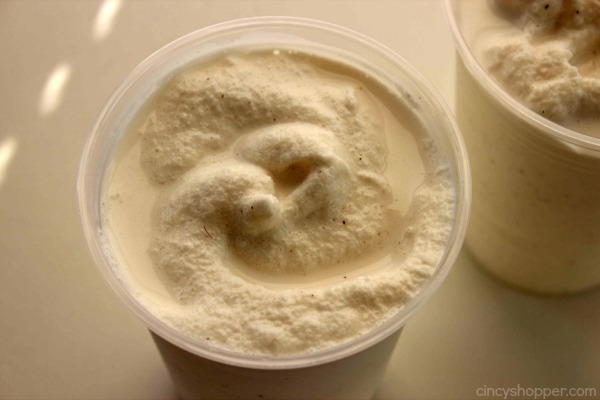 I used Blue Bunny Vanilla Bean ice cream which tastes exactly like the vanilla bean cream all on its own. Will definetly be making this a lot, which will make my honey happy because it is a lot less expensive than purchasing them at starbucks! Thank you for a great recipe!